Printing accuracy - CraftBot XL is capable of 50 micron/layer resolution (with 0.25 mm nozzle) providing excellent print quality. Nozzle kit - The package includes 0.25, 0.4, 0.6 and 0.8 mm MK8 copper nozzles and a wrench. Improved bearings - Linear rails and upgraded bearings enable quieter operation and greater precision. 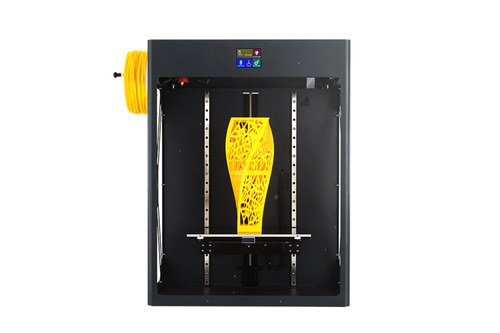 WIFI connectivity - With apps available for iOS and Android devices users can upload 3D projects to their CraftBot XL, start and stop the printing process, control the heat settings, the fans and the light. Print pause & resume - You can change color or finish printing when filament ran out or after a blackout. CraftWare - Universal, advanced 3D printer software with a user-friendly graphical interface. Its advanced slicing algorithm ensures faster conversions and better results. Heatable platform - It enables CraftBot XL to print with all filaments that can only be used with the heatable platform.